1- Jorginho Not Yet As Good As Fabregas: Jorginho should have been the player to make most notes as Spanish legend Cesc Fabregas made his last appearance for Chelsea in their 2-0 victory over Nottingham Forest. This is because, for all the hype around the Italian international, he is not yet even seventy percent as good as Fabregas at his peak. Cesc is a multiple Premier League winner, a highly decorated creative legend who won the Champions League, World Cup and European Cup. 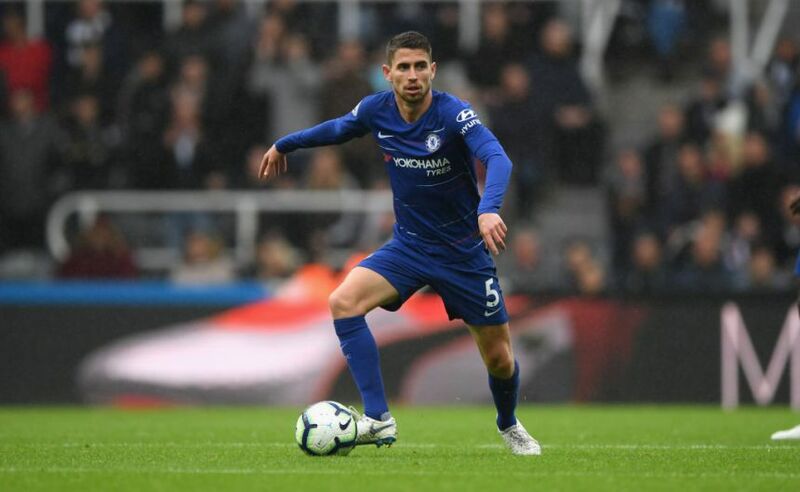 Jorginho must especially learn to increase Chelsea’s tempo with more incisive long range passing. 2- Hudson Odoi Worth The Money: Eyebrows are being raised amid oohs and aahs over Bayern Munich’s £30m pound bid for Chelsea teenager Hudson-Odoi. All of us who watched the England U-17 World Cup winner tear Nottingham Forest to shreds with his effusive wing play now know what the Bavarian giants already knew. Don’t forget that in Arjen Robben and Frank Ribbey Bayern Munich boast the world’s two premier wingers over the last decade. So they can tell a lethal wide man from miles away. 3- Solksjaer Has His Work Cut Out: Ole Gunnar Solksjaer may have accepted the plaudits for guiding Manchester United to a 2-0 victory over Championship strugglers Reading but his team’s average display, epitomised by the visitors’ mammoth share of possession, shows United has a long way to go before regaining it’s oomph. Big sides control games by dominating use of the ball. Allowing Reading over 60 percent of possession is a throwback to the bad days. 4- Align Asian Cup + Games With Football Calendar: The sight of Tottenham Hotspur dynamo Son Heuing-min star in his side’s 7-0 whitewash of Tranmere Rovers once again highlights how much the South Korean is missed each time he travels to play for his national team. Having already missed this season’s commencement courtesy of involvement in the Asian Games, Son is now set to leave for the Asian Cup. His absence is a monumental loss for a thin Spurs outfit which could have been circumvented if these competitions follow the Africa Cup of Nations by switching to the summer. 5- Cardiff City, Huddersfield Relieved To Exit Cup: Is it just me who feels Neil Warnock and David Wagner were massively relieved to see their teams exit the FA Cup at the hands of Gillingham and Bristol City respectively? An extended run in the competition could have boomeranged on the two teams in the Premier League home straight. Now both Cardiff City and Huddersfield Town can focus their energies on preserving their much more lucrative top flight status.